Airworthy Aerospace provides bespoke, full-service aircraft interior solutions for the global aviation industry, delivering world-class products such as carpets and vinyl flooring, as well as airline interior fixtures. The company also offers advanced technology and professional services, including high-quality airline carpet fabrication, seating renovation, and dress cover manufacturing. 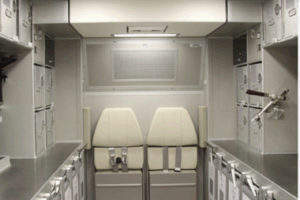 Airworthy Aerospace understands the competition within the aviation industry and the need for comfortable seats. To meet requirements of the aviation industry, the company delivers highly efficient refurbishment, repair, and overhaul solutions, as well as modification services for passenger and crew seats. Airworthy Aerospace supplies individual seat assemblies or entire shipsets according to clients’ specific colour and configuration requests. 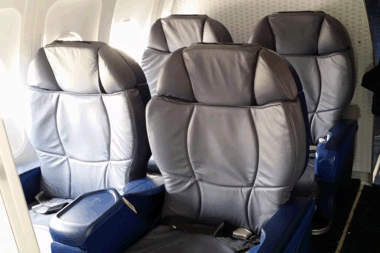 The company also develops fabric, leather, and E-leather seat covers, in addition to new fire-blocked cushions. Airworthy brings technology to the overhaul process using its Air Solutions software and enterprise resource planning (ERP) system, which enables it to deliver high service levels. Airworthy Aerospace stocks Parts Manufacturer Approval (PMA) components, including food tray tables, armcaps, and plastics that have been certified by the Federal Aviation Administration (FAA) for modification and replacement purposes. We also work with client engineering divisions to quickly manufacture owner / operator produced (OOP) parts. Airworthy Aerospace is a leading carpet and non-traditional flooring manufacturer for aircraft in North America. With our new cutting-edge facility in Deerfield Beach, Florida, our capacity handles up to 80,000 square yards of carpet per month. 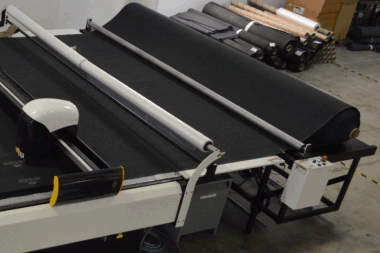 We have innovative laser inspection facilities to ensure that quality standards are met, while we always handle the entire project for our clients through the management of air carpet contract schedules with manufacturers, as well as production, inspection, and shipment of the products. Airworthy provides aviation carpet and non-textile flooring (NTF) aircraft configuration / mapping. Airworthy Engineering Solutions – Once and Done Airworthy Aerospace Engineering Services are committed to assisting airlines in achieving internal redesign and modification on time and within budget. Our team of engineers assist with aircraft mapping, layout of passenger accommodations (LOPA) design, owner / operator produced parts (OOPP), and parts manufacturer authority (PMA) manufacturing. Airworthy Aerospace uses state-of-the-art measuring equipment, as well as airline LOPA and on-board measurements to design flooring layouts. This method maximises efficiency and minimises the number of parts required to produce the complete kit. Airworthy’s highly knowledgeable engineering team draws on years of experience, measuring nearly every airframe in the industry to guarantee an exact fit every time. Airworthy Aerospace develops Aero-LTE commercial aircraft flooring, focusing solely on supporting airlines, MROs, and leasing companies with a brand of carpet that meets specifications. Our new Aero-LTE carpets are always in stock and there are no large minimum order requirements. There are no long production lead-times and the company is able to ship the carpets quickly. We are able to supply carpet to our customers at a lower cost because it is lightweight and we can easily manage the inventory and shipments. Clients can order it in a bulk roll or in a fabricated kit. Airworthy uses modern technology to cut, part mark, sew, inspect, and roll flooring to ensure we meet your requirements and provide the maximum quality of workmanship. Our carpet, serging thread, and tapes are all FAA-certified. Airworthy Aerospace provides maintenance for most galleys, cart / trolleys, coffeemakers, and oven brands, including Zodiac Sell and Driessen, B/E Aeros Heath Tecna, Composites Unlimited, AIM Aerospace, DASELL, Diethelm Keller, Bucher, and Britax. We believe in strong customer partnerships and, by constructing a preventative maintenance programme for carts, coffee makers, ovens, and controllers, you can save time and money. We have the capability to incorporate less expensive PMAs and OOPPs, which result in low-cost rates, lower labour rates, and three to five-day turnaround times. Airworthy has recently announced its radio frequency identification (RFID) tags to automate the repair system on galley carts. Tags consist of electronically stored data, which enables us to track and manage how often repairs have been carried out on carts and the reasons. Airworthy Aerospace provides complete refurbishment, laminate replacement, and overhaul services for many sidewall panels, bin doors, ceiling panels, class dividers, and galleys. At our D100-certified repair station, we service Boeing, B/E Aerospace, Airbus, Triumph, McDonnell Douglas, and other manufacturers’ products for all types of aircraft. Restoring and improving a shipset of panels is the most cost-effective choice when renovating an aircraft interior to a ‘like-new’ condition without the high cost of original equipment manufacturer (OEM) replacements. 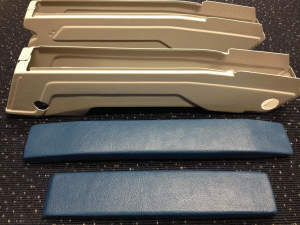 Airworthy Aerospace’s Thermoform Plastics division create custom manufacturing solutions for all varieties of thermoform plastics and focus on plastics fitted on aircraft seating. We also refurbish, repair, and inspect OOPPs and PMAs.